The first Friday in September – this year, Friday, Sept. 1st – is National Food Bank Day. According to The Trussell Trust, thirteen million people live below the poverty line in the UK, with individuals going hungry every day for a range of reasons, from benefit delays to receiving an unexpected bill on a low income. So when you wake up on the first Friday in September make a commitment for National Food Bank Day to contribute to the cause that believes no one should go to bed hungry. The photo that we have chosen today is one of our team’s favourite images and was submitted to our Light in The Lens exhibition. 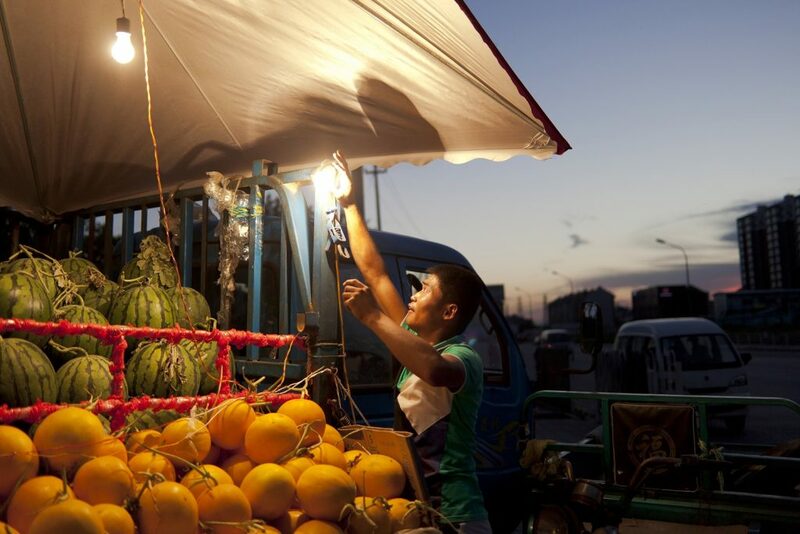 It was taken by Wu Hao and is entitled ‘Fruit Merchant’.